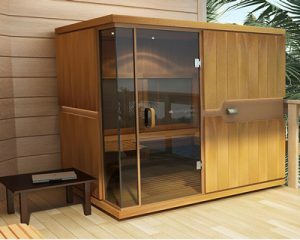 Our Sunlighten Sauna is a full spectrum infrared sauna. Depending on your goals, the sauna can be set to emit near, mid, and/or far infrared via pre-programmed settings. In an infrared sauna the air temperature is held at a far lower temperature than in conventional saunas. This allows for longer sweat sessions. Our sauna sessions are scheduled at either 30 or 37-40 minutes. Each unit is equipped with a radio, MP3, DVD and has an internet connection for your enjoyment. 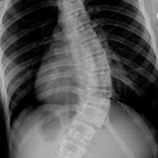 Infrared sauna is contraindicated for patients with certain conditions. For that reason, at the first session, everyone who comes to our facility must first have a brief, scheduled (complimentary) consultation with Dr. Moramarco to determine eligibility for sauna use. Then you are welcome to try the sauna for twenty minutes to judge for heat tolerance. We think the sauna is great and we think you will too! Call us to give it a try. Want to find out if Infrared Sauna Treatment can help your condition? Schedule a consultation using the form below.